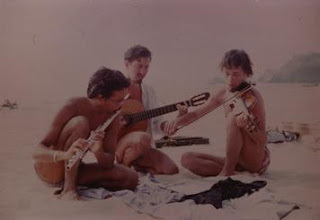 Ernesto Rodrigues and Manuel Mota may be standing on top of a very strong tradition in what concerns the relations between an arco string instrument and a guitar: the one introduced before the Second World War in improvisation by Stephane Grapelli and Django Reinhardt with the Quintet of the Hot Club de France. They certainly come from that heritage, even if aesthetically we can’t find any other common point besides the same naturalness in terms of sound and interaction. Like what happened with those two great figures, the extraordinary thing is that Rodrigues and Mota backgrounds couldn’t be more different. 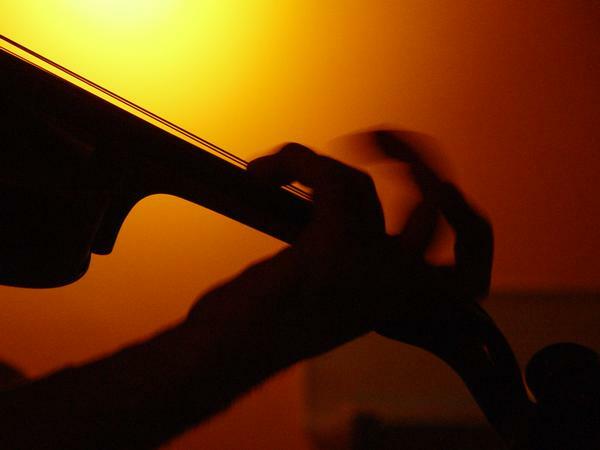 The violist had classical training and went through free jazz before arriving to the non-idiomatic music he now embraces, and the guitarrist learned to pluck his ax by himself, moving his path from a minimalist-like drone work and re-discovered fingerstyle in the Delta blues based music.